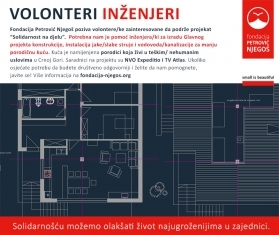 Foundation Petrovic Njegos initiated the project "Solidarity in Action", which indicates that solidarity of the community can make life easier for its most vulnerable members. In this case, we want to invite you to join forces and help one Montenegrin family (mother, father and five children) currently living in harsh/inhumane conditions, without fixed income and without social assistance. For this family conclusion of the started work on the house is priority and it would provide safe home for the members of this household. We reffer to you with a request to help us in this metter. The preparation of project documentation is in process in order to start with construction works in the autumn. Part of the funds for the construction works is provided through sponsorships. Through a series of voluntary actions and solidarity of community, we are planning to build the house for this family. TV Atlas, media partner at the project, will monitor the whole process of construction. 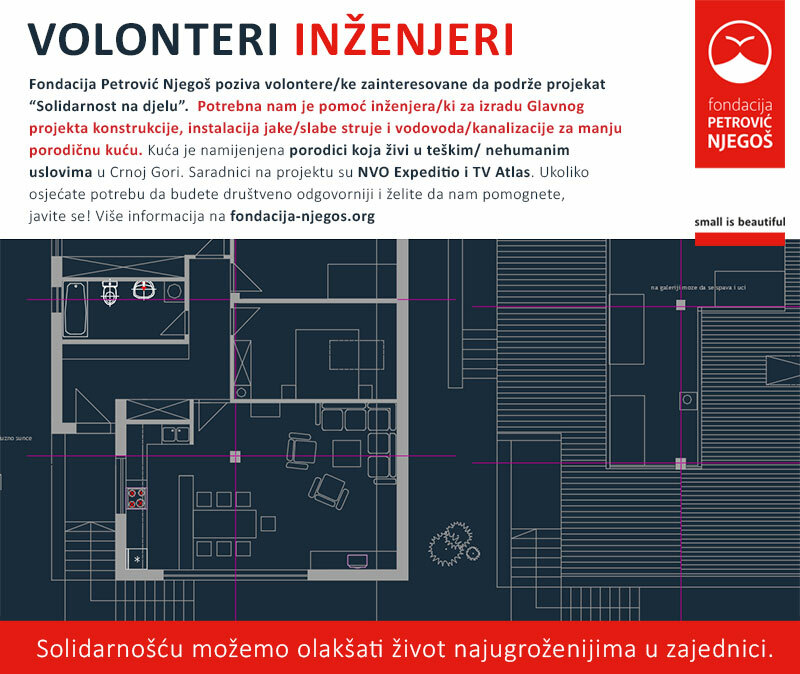 Questions and additional information are available on the Foundation Petrovic-Njegos contacts. We thank you in advance for your contribution !